Learn about several fall garden dos and don’ts as you wrap up the season and prepare for next year’s garden. It’s the second Tuesday of the month, and that means it’s time for Tuesdays In The Garden. This month’s theme is all about fall gardening. Don’t forget to stop by and see what this group of fabulous garden bloggers is doing in their gardens this fall at the bottom of this post. For my part, I’m sharing some of my favorites dos and don’ts for the fall garden. Unless the plant is disease ridden or you just can’t stand the slight unruliness, leave the seed heads on the plant for birds and other wildlife. It will provide refuge, food, and a little winter interest when the cold weather arrives. You can tackle cutting them back in late winter or early spring. After all, that’s just about the time when you are chomping at the bit to get outside. Once again unless there is a problem with death, disease or you just can’t stand the look, it’s best to wait until late winter or early spring (possibly even later) to prune your trees and shrubs. Why? Pruning encourages new growth and fall is the time of year that these plants should be winding down and getting ready for dormancy. Even though I like to divide perennials in the spring when they are small and easy to separate, peonies are said to do best when transplanted in the fall. Make sure you have 3 or more eyes for each division to ensure a healthy plant. Allowing them to lay in the bed will give your plants extra winter protection and some will naturally decompose and add nutrients to the soil. This picture was take in early spring and you can see that the peony is having no problem coming up through the leaves. Of course, once spring comes it’s a good idea to rake the leaves, add compost and mulch for the new season. This is a no-brainer but something I forget. You’ll be rewarded come springtime. In fact, fall is a good time to plant other shrubs and trees. So take advantage of some of the end-of-season nursery deals. Here are some of the deer resistant bulbs I planted last year. Again, just like pruning, fall is not the time to encourage new growth. 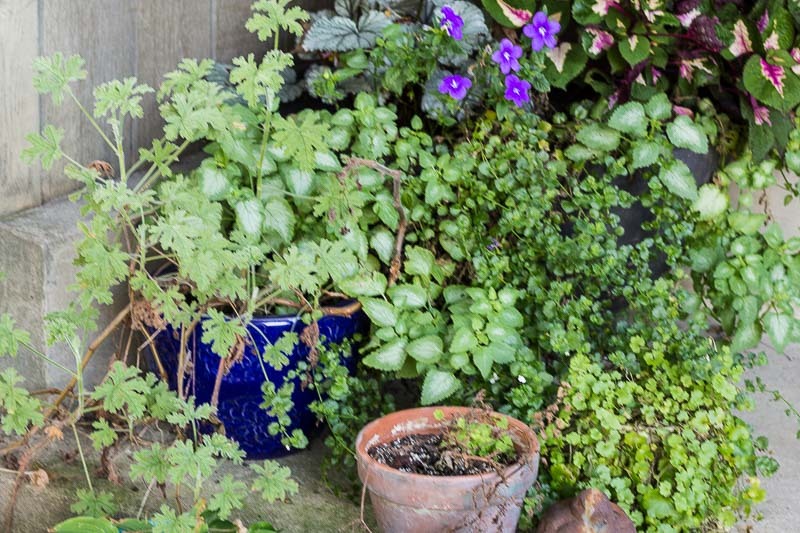 Allow your plants to harden off and shut down their top growth for winter. Even if you haven’t been keeping a garden journal, fall is a good time to make notes of what you need to do next year. What has done well, problem areas and plans for next season. This will be a big help in the winter when you are bored and want to start planning for the spring. Composition pads are super cheap this time of year. 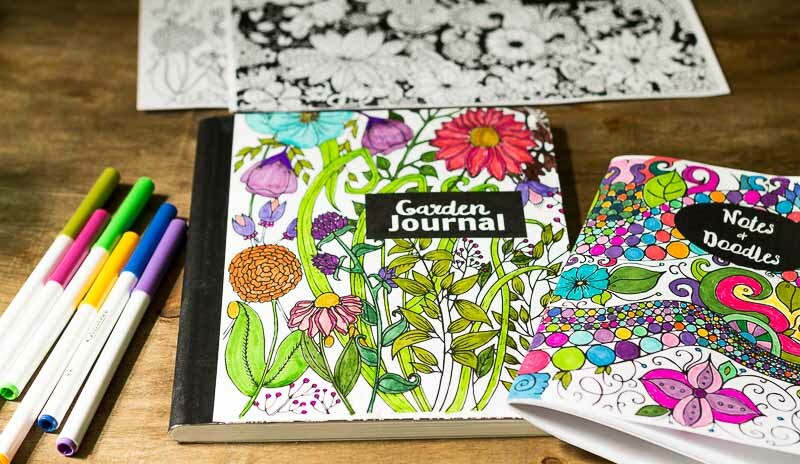 Print out this a free coloring page to create a simple journal for your garden notes. All your tender plants that have been enjoying the sun and warmth need to be brought in before it gets too cold at night. See what to consider when bringing plants indoors for more details. Now let’s see what my fellow Tuesdays in the Garden friends are sharing this week for their fall garden. Love all of these tips Patti. Unfortunately, my hubby can’t stand to have leaves in the flower beds or the dead flowers on the plants. He’s just like a tidy garden. But we do divide our plants in the fall as needed. And I’m hoping to get a few more spring bulbs planted this year too. I LOVE the garden journal and printable pages! Thanks for giving us an easy way to record our garden successes and failures. Dave and I keep reinventing the wheel because we can never remember what varieties we planted and how they did. And the deadheading too. I have to hold myself back or I’m out there trimming off the ugly stalks and seed heads. I love these Tips Patti – I actually do fertilize in the fall because we have a longer growing season down south. I’m in the middle of moving blackberries -which is a don’t for August but cooler temperatures and rainfall arrived and I couldn’t resist. So far we have success hope to get back out there this afternoon. I’m also loving my leaf mulch, completely hooked and worked like a charm.